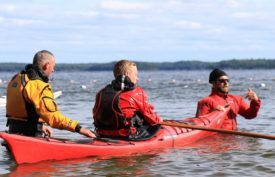 All of our instructors are Paddle Canada certified instructors. 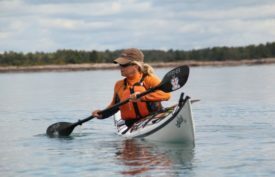 So what is Paddle Canada? 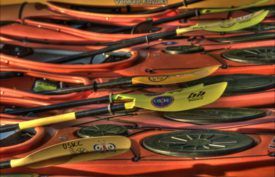 Paddle Canada is a national paddling certification program. 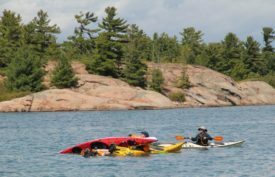 The Paddle Canada sea kayak program includes nationally recognized certifications in five skill levels, five Instructor levels, and four instructor-trainer Levels. 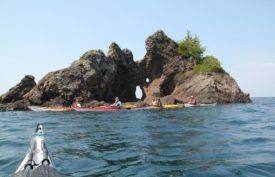 Paddle Canada’s skill levels begin with basic sea kayaking skills, total beginners are welcome. 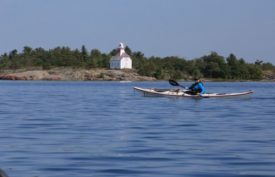 The program will help you progress to have the knowledge and skills necessary for safe sea kayak touring along Canada’s magnificent open sea coasts and freshwater shorelines. 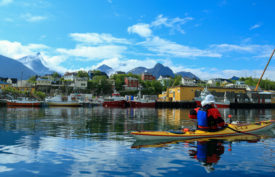 Are you just beginning and would like to try out a kayak? 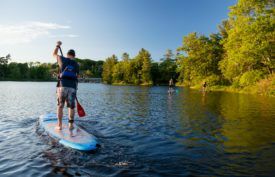 Have you tried at the cottage and want to be safer and more skillful? 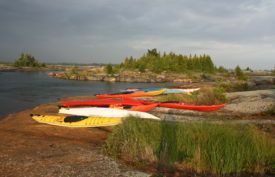 Perhaps you want to kayak on the Great Lakes and like the idea of day trips, with the possibility of trying longer kayaking trips one day. 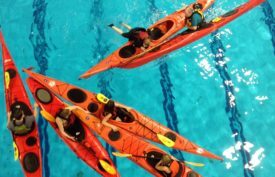 You should begin with Paddle Canada Level One Skills. 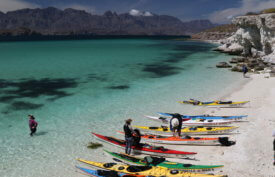 Have you been kayaking for a while? 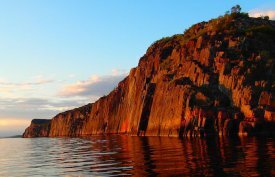 Have you taken your Level One or feel you may have equivalent skills? 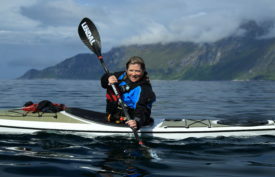 Would you like to be comfortable in conditions a little more challenging than flat water? 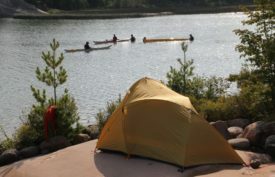 Are you interested in improving multiday camping and cooking skills on kayak trips? 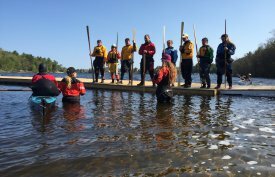 Then Paddle Canada Level Two Skills is the course for you. 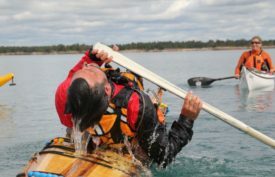 Paddle Canada Level Three Skills covers rough water kayak tripping. 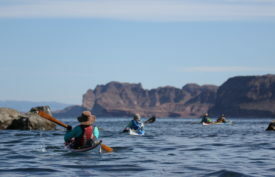 It is peer-to-peer paddling with opportunities and discussion to handle numerous scenarios that could be encountered while tripping in rough waters. 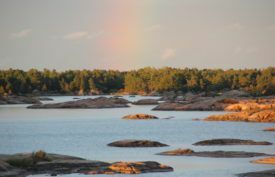 Paddle Canada Level Four Skills is an open water coastal tripping course. 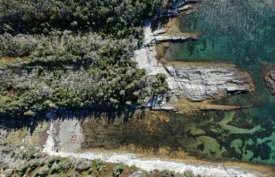 This course has to run in tidal environments are are offered on both the east and west coasts of our beautiful country. 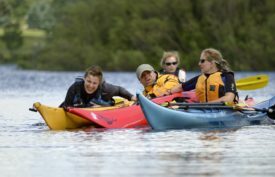 Want to be a kayak instructor? 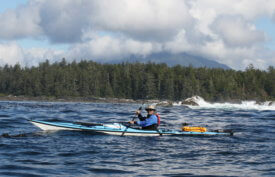 As instructor trainers we offer Paddle Canada instructor courses. 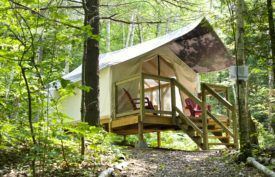 Contact us directly for more information. 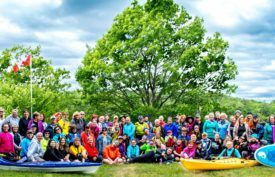 Are there age requirements for Paddle Canada courses? 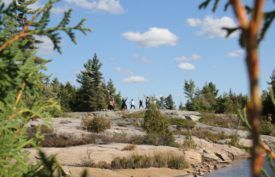 We believe our students should be thirteen years of age to get the full value of any course. 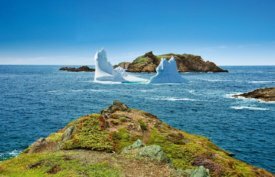 We are open to discussion if you believe a course is right for your child. 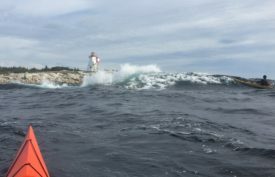 The decision is at the discretion of the course director. 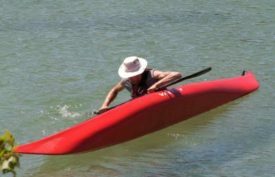 All Paddle Canada instructor courses do stipulate students reach a minimum age of 16 years. 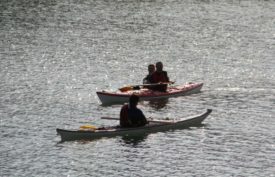 You also have the option of private instruction for your younger paddler. 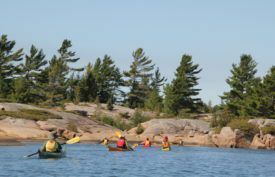 Paddlers are also taught Leave No Trace principles for active environmental awareness and protection, in order to help ensure we can all continue to enjoy Canada’s wilderness and many waterways for years to come.